The LCN-GUS is a temperature, light, humidity, motion sensor and IR receiver for surface mounting in LCN-GT series design.The LCN-GUS can be operated to of any LCN bus module with firmware 1702… (Feb. 2013) or after. The digital temperature sensor with its own processor it records almost noiseless measurements and sends them via the I-Port connector to the connected LCN module. The integrated LCN-RR IR receiver allows the LCN-GUS to process the signals of LCN remote controls. 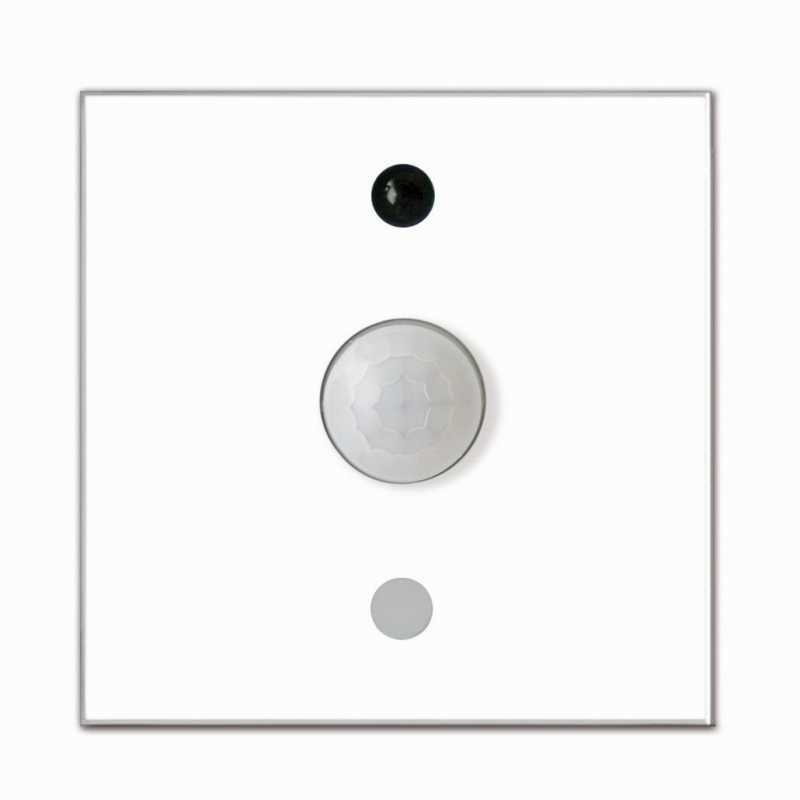 The light sensor is used to register the brightness in rooms. The measured value can be used for constant light control in order to achieve ideal lighting conditions with simultaneous energy saving. The integrated light sensor covers a very large measurement range of five decades (1 to 100,000 lux). The presence/motion detector identifies the motion of persons and objects by their thermal radiation. It can be used, optionally with the integrated light sensor, to switch lightings and for alarm functions in the building security area. The LCN-GUS can take effect on the controllers as well as the signal thresholds. Measured values can be exchanged between LCN modules and used for arithmetic operations.